Great food. Great venue. Great atmosphere. That’s what you’ll get when you take a trip to the Rock Diner & Aces. There’s always plenty of events on from regular Poker Nights (every Wednesday evening) to DJ sets (every weekend) so if you’re looking for an excuse to go out and have some fun then Rock Diner & Aces is the place to be! Bike night is usually held on a Wednesday but it’s best to check their Facebook page for further details. During the summer months there’s a BBQ (obviously when the weather is good!!! ), but the main menu is packed full from loaded nacho sharing platters to fajitas, chilli con carne, pasta dishes, salads and so much more. Oh, and don’t forget to check the daily specials menu when you get there! Got dietary requirements? Rock Diner has got you covered! 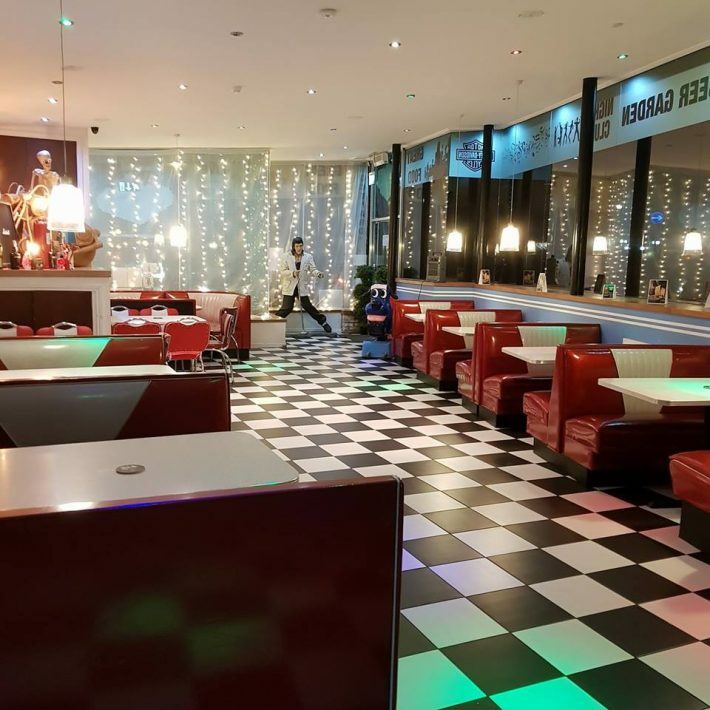 The interior has the retro American diner theme with leather booths, replica cars and Elvis. There’s also a large outdoor seating area too. Not got the time to sit in and eat? The Rock Diner offers a takeaway service. Rate Rock Diner & Aces now!